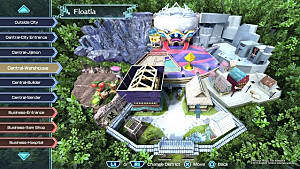 Digimon World: Next Order is the latest game in a series that started in 1999 on the original PlayStation. This game keeps the spirit of digital pet games alive by making you take care of your Digimon partners. This includes: feeding, taking them to the bathroom, training them, and letting them rest or sleep. This is a double-edged sword because while it provides an interesting play style for modern JRPGs, it also gets in the way of progressing through the game. Anyone who is a fan of Digimon or digital pets will enjoy this game, as it stays true to its roots. Many of your favorite Digimon are included, and you can have 2 partners instead of the standard 1 that everyone else has. 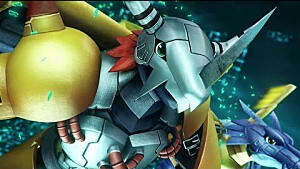 It is fun, at first, training your Digimon and seeing them digivolve. It is a balancing act to train them at the gym -- and adventuring to progress the story and upgrade the city. The game does a good job of making you feel connected to your Digimon, even if they are reborn when you die. It makes you feel like this is more than a party member with how fragile their lives can be if you don't take care of them. 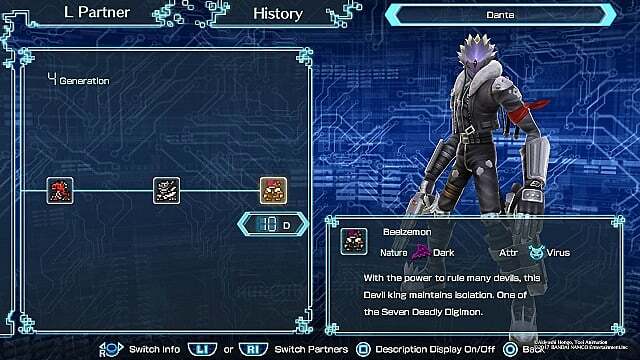 Every digivolution has multiple stat requirements you have to fulfill before digivolving, and you can see these requirements after random communication options. This lets you aim towards a certain digivolution, but if you fulfill more than 1 Digimon's requirements, it will be random at first. If it stayed like this, the requirements would become pointless after a while. Luckily, you can control what your partners digivolve into later in the game. Sadly, the game doesn't tell you until you unlock, and some players might give up before then. Still, this saved the game and makes everything a lot better. 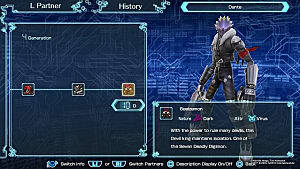 Every time your Digimon dies, it is reborn and inherits a portion of the stats they previously had. This allows your Digimon to get stronger each generation, but it can take quite a while. It is nice to look forward to something though, and not just start over each time they die. While it is fun for a while to balance training your Digimon and adventuring, it gets old as you have to choose between the two. It takes multiple rebirths and training sessions for your Digimon to be strong, and that's even while playing on Easy difficulty. 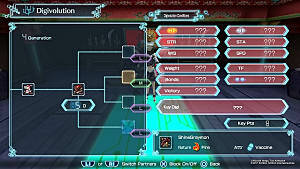 Eventually you will have to decide: make your Digimon stronger, or try to unlock more things. The amount of stats you get while fighting other Digimon is pitiful, even with the upgrade that increases how much you get. This brings me to my biggest point. Your character, or Tamer, can learn skills that greatly help in all aspects of the game. You only get a few points at the beginning, then you start gaining more. The problem is that it starts to get harder to level as you progress. You only get exp when your Digimon digivolve, you gather materials, or do Digimon fights while adventuring. 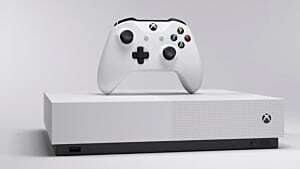 Even then, it will take multiple game days to get 1 level, then you might be able to buy one skill. 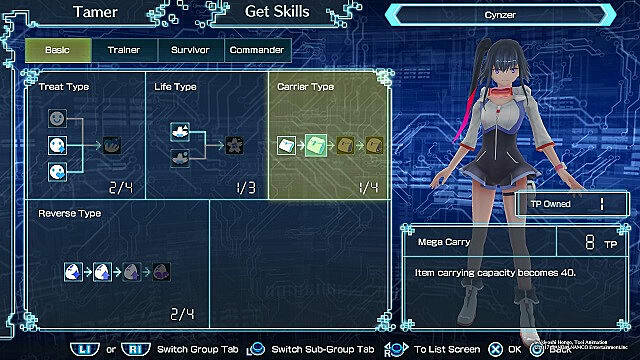 These skills really increase your Digimon power, increase their life, lets you hold more items, unlock more attack slots, and more. Rolling everything that is helpful into the tamer makes it hard to choose and again comes down to: make Digimon stronger, or try to progress in the story. You can try to focus on just leveling your Tamer, but your Digimon will end up weak. 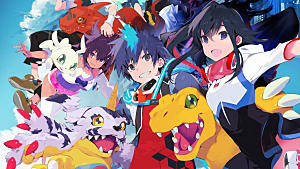 Overall, I do enjoy Digimon World: Next Order. It is something different and I genuinely want to progress in the story and see my Digimon get stronger. 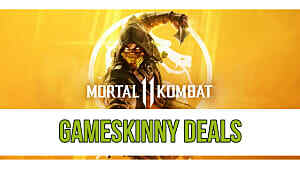 For people that don't have a lot of time to slowly progress, this is not the game for you. If you don't mind taking your time to go through the game and constantly rebirth your Digimon to get stronger, this is an amazing game. 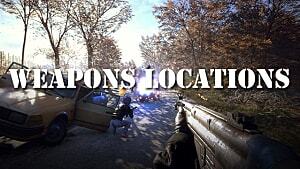 Regardless, it is well worth a try and could end up being your favorite RPG. Digimon World Next Order offers a unique experience for RPG fans, but is the time commitment worth it? 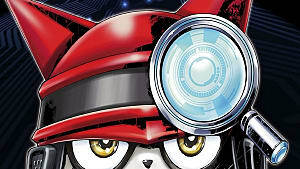 New Digimon project, Digimon Universe: Applimon project announced.